ABC challenge: Hits Unconventional | Light Your Nails! It is so gorgeous. Good idea to layer it over blue. Very special nail polish, love the color shift! This polish is beautiful! I love that shift! Thank you Helen! Pastels would definitely be my second choice these days! Veramente un sogno! Io non ho quasi smalti duochrome ma questo qui me lo scrivo sulla mia wishlist! Ahahah hai fatto bene Natalia! Wow, there's some incredible depth to that combination! 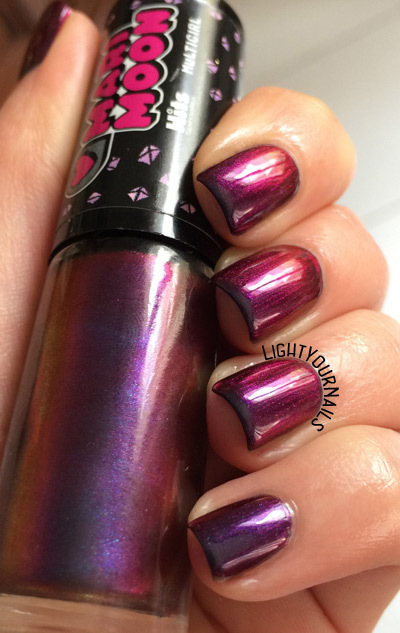 I happen to want to wear something bright lately and that is currently Cupcake Polish Berry Good Looking. Thank you Chelsea! 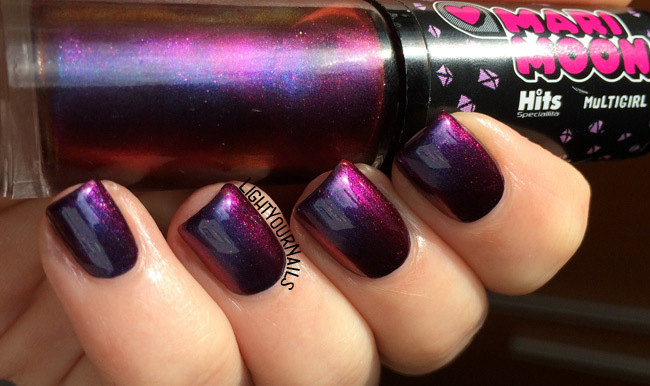 That Cupcake Polish is freaking gorgeous! So gorgeous. HITS does a great job with multichromes. Also a great idea to layer over blue! Thank you Kate! I hardly ever use black. Drop dead gorgeous! Love how strong the shift it-- stunning! Hm, I think you just made me regrett that I just sold this polish! Weren't you happy with it? !